Now you can take your Big Cartel shop with you anywhere you go. Manage your account settings and products, add photos, ship orders, create and edit discount codes, and accept credit card and cash payments from your iPhone or iPad. Begin by tapping the shopping cart icon in the navigation bar at the bottom. Tap on any product to add it to the new order and tap + or − to adjust the item quantity in the order. Tap the Discount button to add a quick flat-rate or percentage discount if you’d like, and tap Done. To charge tax, tap the Tax button, enter your tax percentage and tap Done. 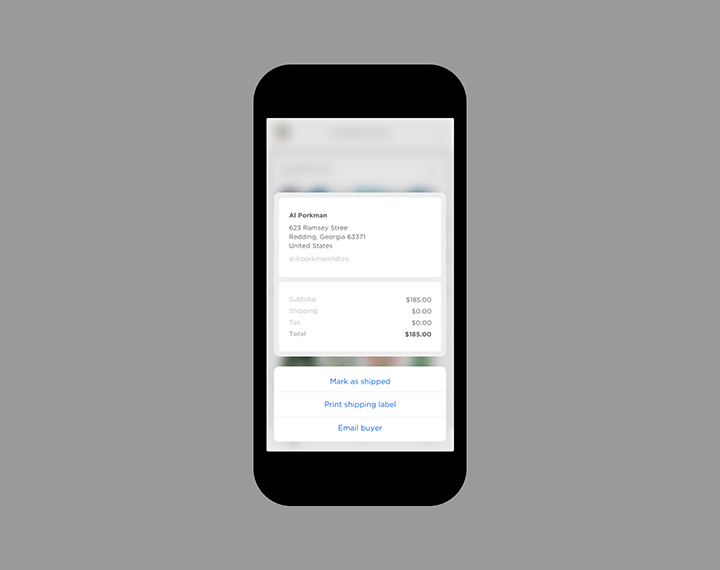 Tap the Checkout button, select the payment method, complete the payment info, and finally tap Complete order. That’s it! If you need to clear your cart and start over, click the x at the top of the cart screen. Then you can start adding items to a fresh cart. After the order is placed, you’ll have the option to send a receipt to the customer via e-mail, and you’ll be able to view it inside your Big Cartel admin. If you’re using a 3D Touch enabled iOS device, press lightly on an order to take a quick look at its details, including buyer location and any notes sent your way. Slide up when peeking to quickly email the buyer, print a shipping label, or mark the order as shipped. If you want to open the order, press a little deeper to Pop into it. With Peek and Pop, browsing and managing orders has never been easier. 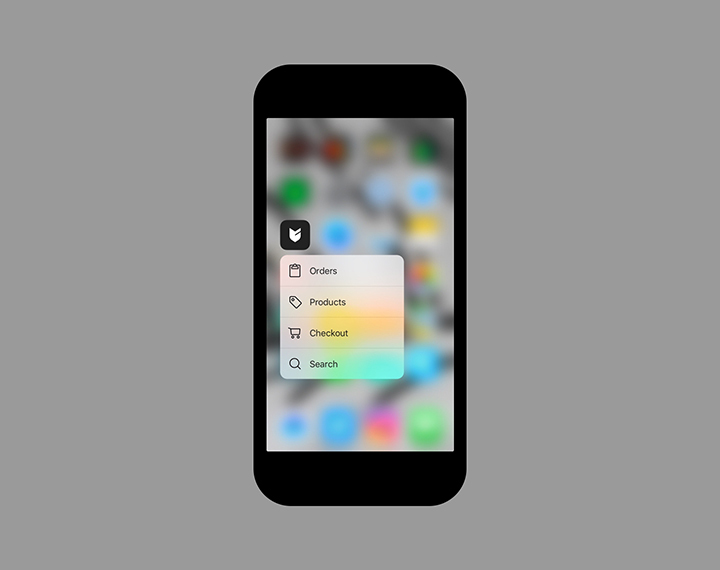 Another workflow improvement: Quick Actions from the home screen using 3D Touch. Press on the Big Cartel icon to jump right into orders, products, checkout, or to quickly search through orders.